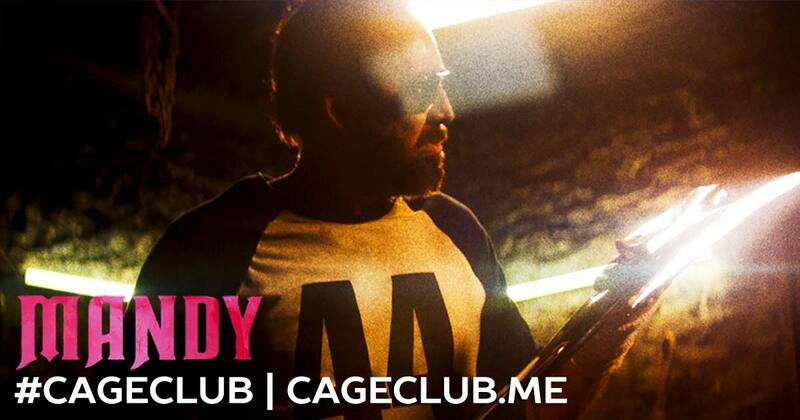 Mandy is widely considered by many to be Nicolas Cage’s best movie in years. While we know he’s made a handful of great movies since his last critical darling… we probably agree with the sentiment. Mandy rules. It’s a gorgeously intense (and intensely gorgeous), drug-fueled journey through a land of madness. To join us on this adventure, we welcomed back into the fold a co-host of Monkey Club (RIP Monkey Club), Christian Larson, who last joined us for Seeking Justice. This is the point in the write-up where I normally ask, “Will our guest like it more than the last movie he watched with us?”, but here’s a spoiler: all three of us loved Mandy. We hope you did, too. Can’t get enough Mandy? Neither can we! We were so excited to watch this movie that this podcast recording was actually about our third viewing. Next Thursday (October 11), we’ll be dropping a #CageClub Revisited episode about this movie.